The best-selling LEGO video game franchise makes its triumphant return with a journey full of action and humor based on the blockbuster movie. The game will also feature exclusive content playable that bridge the gap between the story of Star Wars VI: Return of the Jedi and Star Wars: The Awakening of the Force. Play as Rey, Finn, Poe, BB-8, Kylo Ren, Han Solo and many others in LEGO Star Wars: The Awakening of the Force! The Force is strong here … The best-selling LEGO video game franchise returns with a journey full of action and humor based on the hit movie Star Wars. Play with Rey, Finn, Poe, BB-8, Kylo Ren, Han Solo and your other favorite characters from the movie! LEGO Star Wars: The Awakening of the Force, players relive the action of the movie Star Wars: The Awakening of the Force, told through the lens of LEGO intelligent and witty. The game will also feature exclusive content playable that bridge the gap between the story of Star Wars VI: Return of the Jedi and Star Wars: The Awakening of the Force. LEGO Star Wars: The Awakening of the Force also introduces Multi-buildings and Battles with the Blaster universe of LEGO videogames. With Multi-buildings, use LEGO bricks available to open new paths, and then rompili ricostruiscili to open others! During the battles with the Blaster, use the environment as protection to address the First Order." It also says the release date is May 31st. Could be a placeholder date, though. I was really hoping they'd just wait till after Ep. 9.....but it's interesting that they're including "exclusive" content (whether it's canon or not ie. current comic and book based) to bridge ep. 6 and 7. Well I'll probably get it anyway. Yeah, I'm guessing they'll do a game for each episode and just roll 'em into one in the end. And man is the game gorgeous. I think there's a good chance the exclusive content will be based on canon books. Some members are already speculating that the minifigures in the upcoming "Adventures" sets are based on ones from recent novels. 4-5 years is a long time to wait for another Star Wars game when the hype is so strong at the moment. 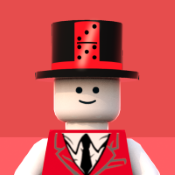 This is probably the best looking LEGO game. Let's hope the actual game is that and not the typical TT stuff. I really hope it includes Episode I - IV like what LEGO Jurassic World did with the first three movies. Or at least 3 part levels like LEGO Marvel's Avengers has. 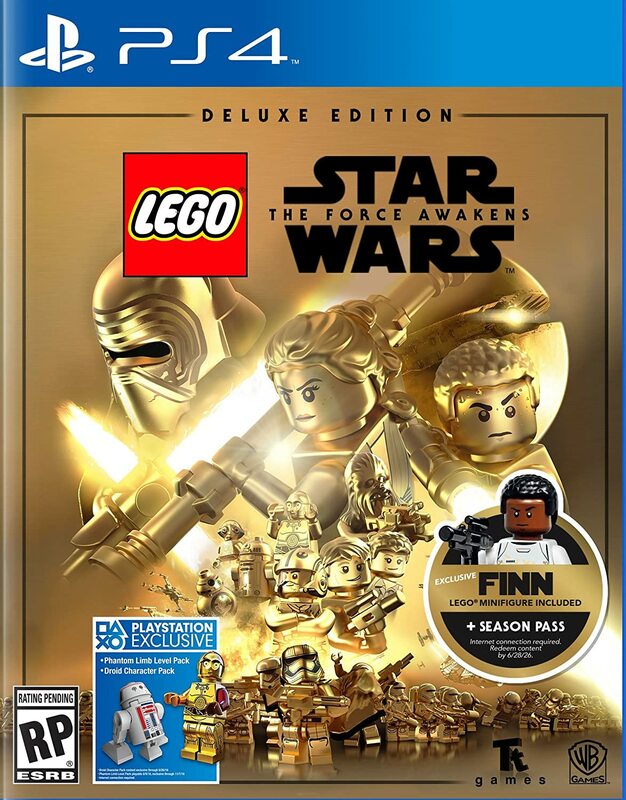 I hope this game is a remastered Lego Star Wars: The Complete Saga with episodes 1-7 with improved graphics, improved Lego models, and voice acting from the movies, because so far the game is way too short since Only Episode 7: The Force Awakens takes up 5-6 level slots on the game disc. I am also hoping the story is in order of level, instead of jumbled and jumping around like Lego Marvel's Avengers. Yeah I think it might be more enjoyable if the content is based on the new books! Yeah, it was a pipe dream I just hope they don't make one for every star wars movie...sometimes holding off is better. I'm hoping the Rebels crew will be playable as perhaps bonus characters. Knowing how TT handles extra content, they will probably be DLC. 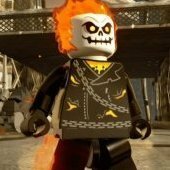 There will also be a Deluxe Edition that includes the FN-2187 minifigure and a DLC season pass. I was expecting them to wait until episode 9 but I guess we're getting one game per movie now. The later ones will likely include anthology films but since we don't have any yet we're getting 'exclusive content that bridges the gap between RoTJ and TFA'. Hopefully it's canon stuff like from the comics. I'm also guessing there will be some stuff based on Rebels. Even then, it seems like they won't have enough content to compare to more recent LEGO games. It appears that they might include RoTJ at least, based on one of those screenshots. Maybe they'll include a remake of the original trilogy as well? So wait, FN-2187 only comes with the PS4 version? That looks amazing. Most definitely the best looking lego game ever. Like some people have said I was hoping they would wait tell episode 9. Still exited to get it though. 70$ for deluxe edition that has the game, dlc, and minifigure. Is that worth $70? I knew that Finn minifigure had to be from a game! Really excited for this, it's been a while since the last LEGO Star Wars game! Would like to point out that even in the poster finn is depicted as sweaty as ever. that made me very happy, i think it would be amazing if he always had that effect in the game like his animation wheb he stands still would be him wiping his face or something.